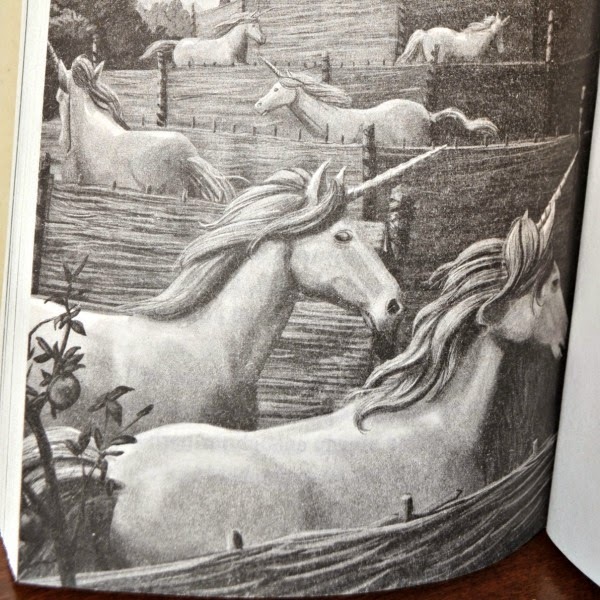 When you come across a book titled A Plague of Unicorns, it kind of makes you pause and wonder what on earth that could be about! In that first autumn of Aelian's rule, when the golden apples were at their ripest, the battle lines were drawn--monks against unicorns. It was never a fair fight. Young James, the duke's son, asks too many questions. At least that's what everyone at Callendar Castle thinks after all but the last of his tutors quits and his uncle ships him off to be educated at Cranford Abbey. Unfortunately, the once-beautiful abbey has problems of its own, including cracked walls, a leaking roof, and shattered stained glass windows. Not to mention the pesky herd of unicorns that continues to enter the abbey's orchards and claim them as their own. The only hope to save the abbey, it seems, is money raised by Abbot Aelian's golden apple cider, made from a recipe passed down in his family for generations. But that means getting rid of the orchard's unwelcome visitors. And, as everyone knows, unicorns have very sharp horns. Monks do not. James has an idea that could help defeat these hungry beasts, but first must find someone to listen to him. For once, he might be the only one asking the right questions. 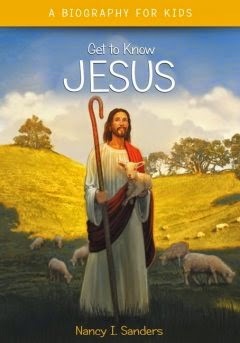 And the only one who knows the perfect hero for the job. It turns out, this book is as quirky and delightful as its title suggests! 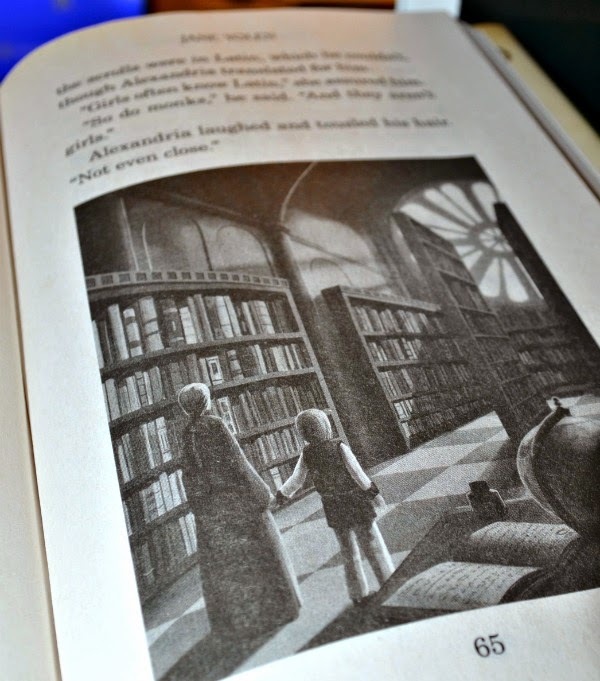 I have read many books that take place in abbeys or boarding schools and plenty of books with monks, orchards, or mythical beasts. But I have to say that this is the first book I have ever read that has entwined these elements in such a hilarious and compelling story. I found myself literally laughing aloud in spots. 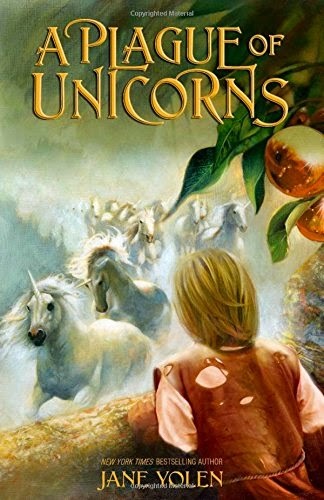 I enjoyed the writing style as well as the two-part perspective that is used to first give the background story of the unicorn problem and then tell the story of little James. Authoress Jane Yolen never fails to delight! James' many questions -- some of the utmost absurdity -- reminded me a little of myself as a child and also of my 8-year-old daughter who chatters my ears off from time to time with her incessant questions and "what ifs." Any child -- boy or girl -- who enjoys colorful depictions of life in a bygone era or is tickled by little twists of humor throughout a story will thoroughly enjoy this book. Adults who enjoy YA literature may also enjoy this story -- I certainly did! The ending has a lovely little twist that didn't take me by surprise, but might well take younger readers by surprise...and delight them! But if you want to know what it is, you will have to read it for yourself! At under 200 pages, it's a quick read, so what do you have to lose?